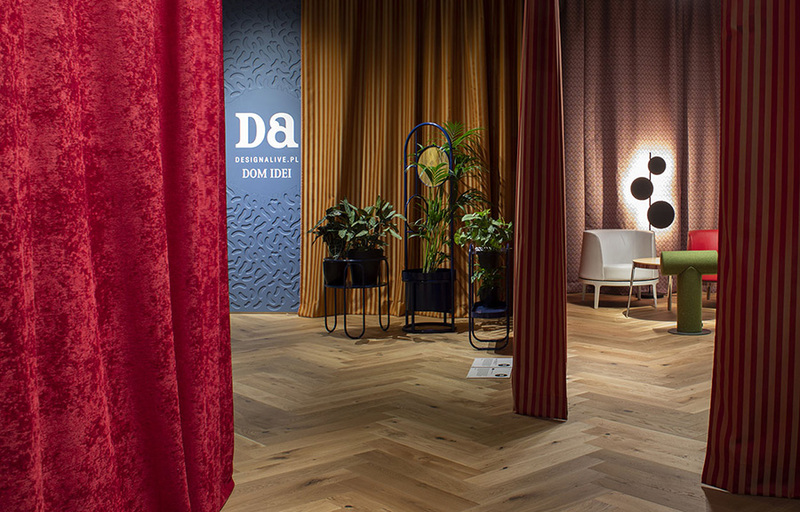 Warsaw Home – the International Interior Design Trade Fair – is an event addressed to architects, designers, owners of companies or stores and private people. It is an opportunity for producers and distributors operating in the furniture, decorations and finishing industries to present their offer. We had the pleasure to participate in the event by illuminating the stands of our partners, Magazif and DesignAlive. On Magazif’s stand we illuminated the works by participants in the Młode Wilki programme. They were young designers showing their first works. The original form, soft curves and an intriguing shade of the Reel lamp provide it with unique and eye-catching qualities. 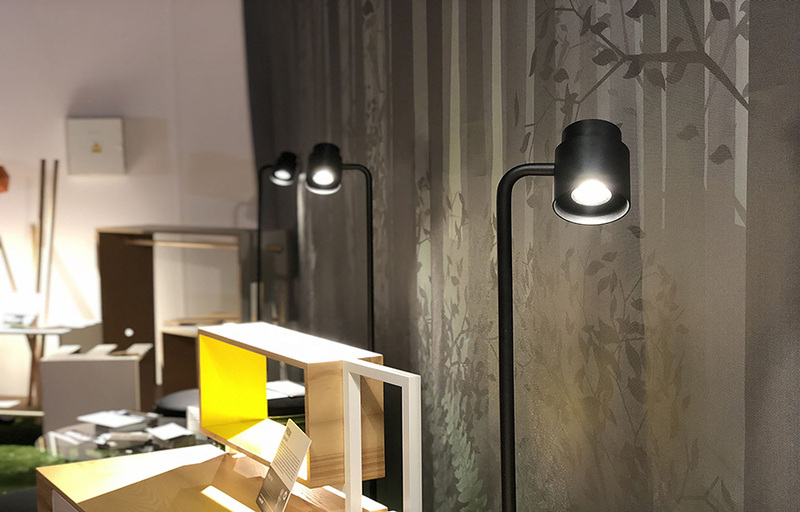 The fitting is multifunctional because it uses a high-quality integrated LED source and offers the possibility of directing light at many angles through a glass lens. 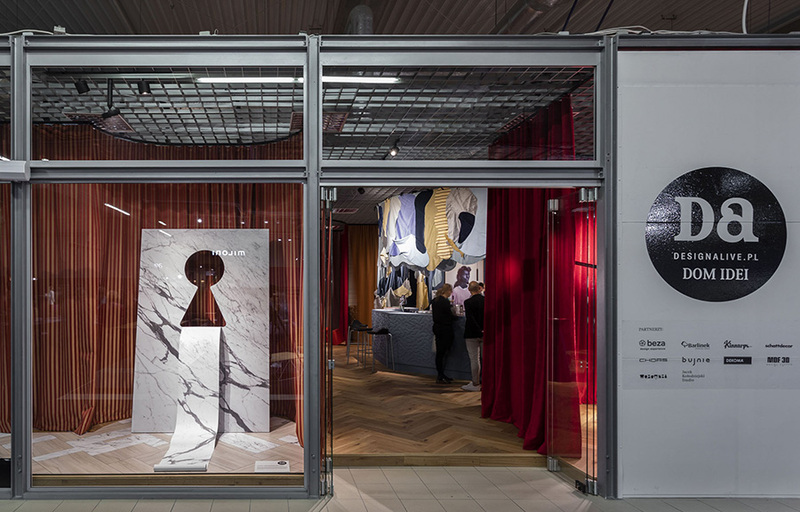 The freestanding version of the fitting was designed by Fabian Baumann of the Formfjord design studio. 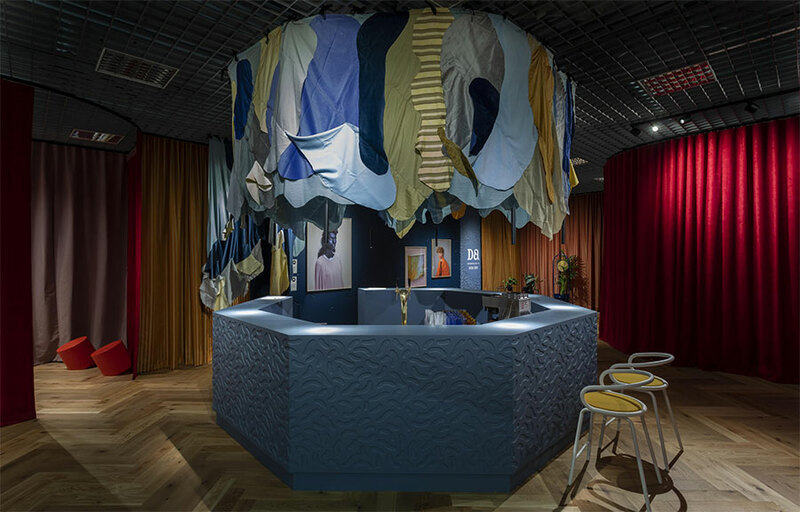 In the conception of the House of Ideas by Design Alive, designers Anna Łoskiewicz and Zofia Strumiłło-Sukiennik of Beza Projekt looked for lighting solutions that would harmonise with the mysterious atmosphere of the Twin Peaks series. We addressed their needs and created an original structure consisting of several Myco ON light fittings. The shape of the lamps provided the spark that fired up the designers’ imagination, which led to the construction of a unique interior. We wanted to add variety to the illumination of the interior while sticking to one family of lamps, suing both diffused and concentrated light. The freestanding lamp from the Ambiente series was designed in cooperation with Piotr Kalinowski (MIXD). It immediately attracts attentions and can successfully replace a painting or a sculpture. This beautiful decoration emits delicate, pleasant and very atmospheric light.